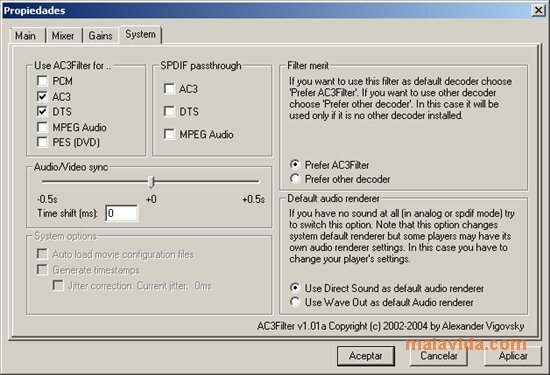 The philosophy of Codec Pack All in 1 is to offer in the same pack all the most important audio and video codec alternatives that exist on the current market. 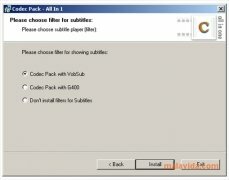 The majority of the codec packs come with all that is necessary so that we don't have to download anything else when we are working with multimedia files. 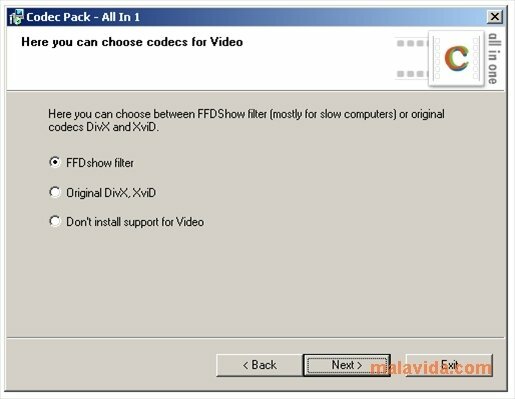 Codec Pack All in 1 also includes the possibility to choose between various options the codecs that we want to use for a specific function. 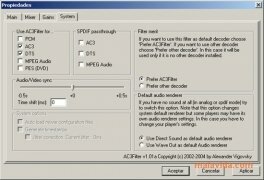 Thus, during the installation process we can choose between the FFDshow video filters or the original DivX and XviD, Since these last ones use more resources, we can make the choice depending on our computers power. 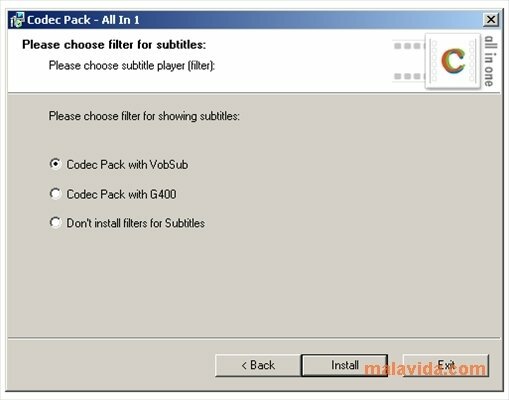 For the subtitles, Codec Pack All in 1 gives us the choice of VobSub and G400. 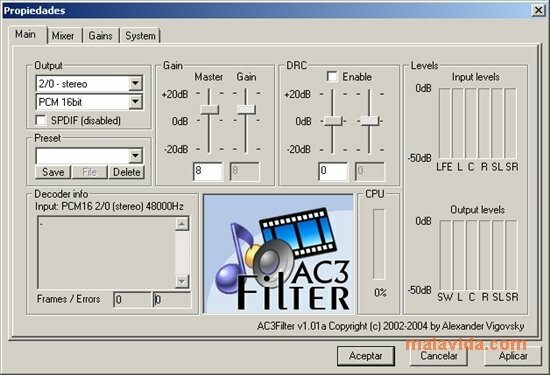 And in what regards to audio, we can choose the Ogg, AC3, MMSwitch and MPEG2 filters. 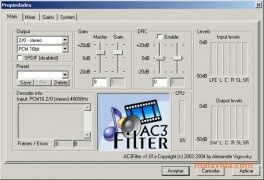 In comparison with other audio and video codec packs, Codec Pack All in 1 is better in what respects to versatility and mobility, allowing us to work with completely different computers. On the other hand, it is obvious that less experienced users will be somewhat unsure when it comes to choosing. But, to tell the truth any of the possibilities that it offers is a good idea to view the majority of videos that you will have stored on your computer. Works with Windows XP only.